Waterproof beds have two significant advantages over their non-waterproof counterparts. 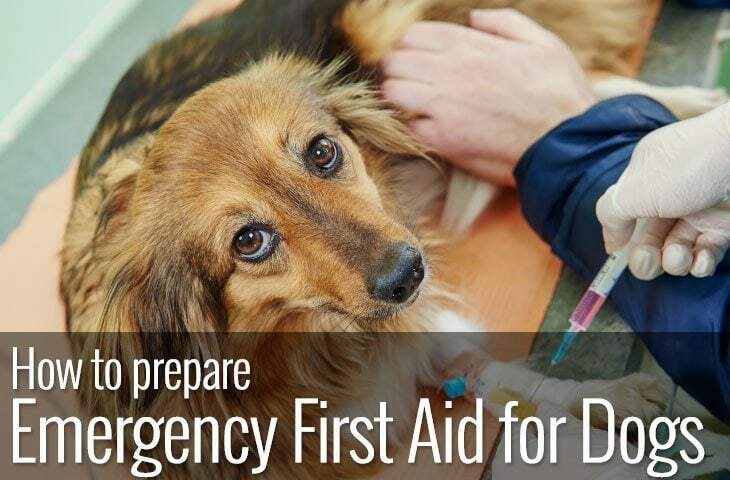 Firstly, it means your dog has a comfortable place to sleep outside and secondly, they are ideal for puppies and older dogs that may have an occasional accident. Easy to wash and designed to keep moisture away from the center of the bed, waterproof dog beds keep your dog dry and comfortable as they snooze. We’ve rounded up some of the best waterproof dog beds, but if you want a quick pick, we like the Komfy k9 Waterproof Dog Bed for overall durability, ease of cleaning and waterproofing. Waterproof dog beds tend to fall into two categories; waterproof and water resistant. While both do an excellent job at keeping moisture away from the inner core of the bed, it’s worth knowing the difference between the two as it will impact your choice. Waterproof beds typically have a thin waterproof membrane sewn underneath the outer layer. This membrane is often plastic based and provides a barrier that stops moisture from reaching the padding of the bed. Waterproof beds are particularly suitable for outdoor use or for dogs with incontinence issues. In contrast, water-resistant beds generally use a water-resistant coating on the outer material of the bed so that moisture runs off the fabric and doesn’t soak into the bed itself. 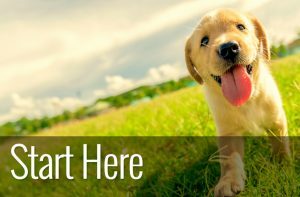 Water resistant beds are perfect for occasional outdoor use and for puppies and older dogs that have an occasional accident. 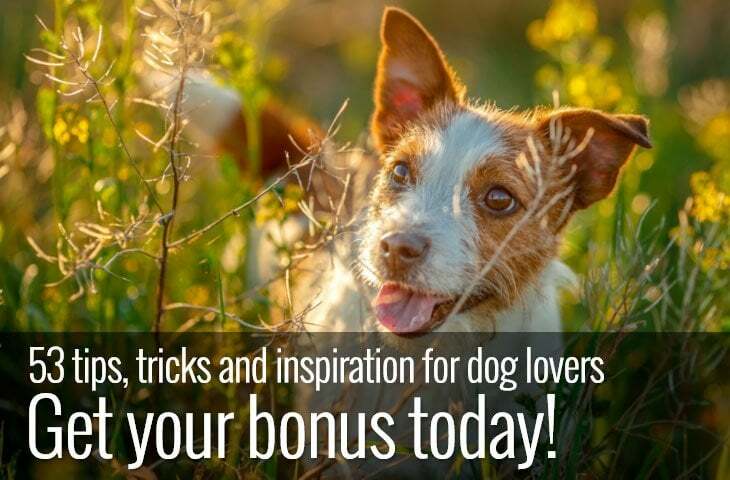 As with all dog beds, there are some basic things to consider like size, your dog’s needs and how your dog likes to sleep, for example, would they benefit from an orthopedic mattress and do they prefer to sleep curled up or stretched out? If you’re in the market for a waterproof bed because your dog has incontinence issues, you’ll need an option that is easy to keep clean. Removable and machine washable covers are the best choice here. It’s also useful if you can buy additional covers so that you can get one in the wash and one on the bed at the same time. The type of material is probably the most important consideration as it’s the first layer of defense against moisture. Common water-wicking materials are Oxford, Nylon and polyester. Instead of absorbing the water into the fabric, it pools or collects in droplets on the surface allowing the moisture to run off the material and evaporate. Waterproof material is all well and good, but the stitching is equally important. It’s no good having a barrier that prevents moisture from getting through and then perforating with hundreds of tiny holes that water will easily penetrate. Look for smooth surfaces with minimal stitching or sealed seams. 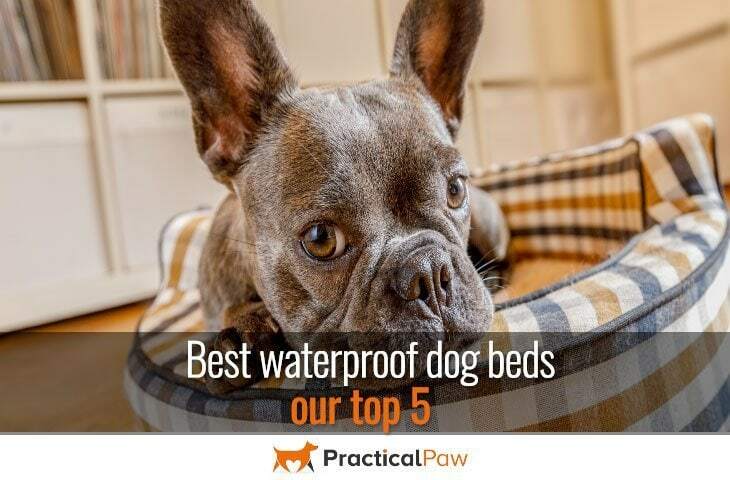 So with those things in mind, here are our top five waterproof dog beds. This is an excellent option from KOPEKS. 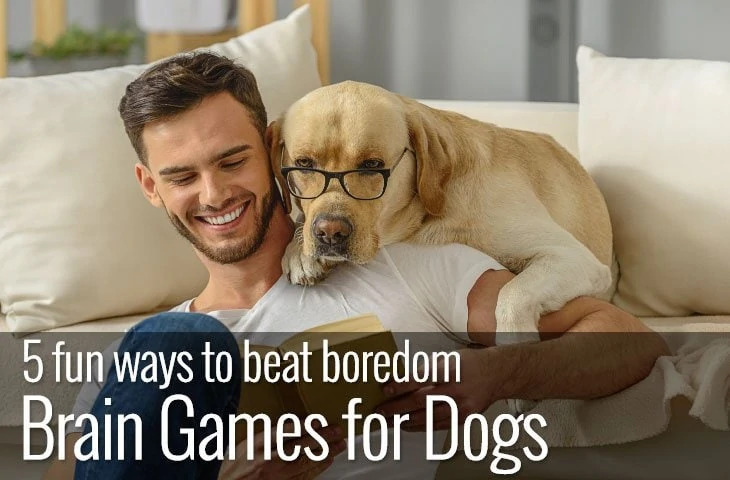 Not only will your dog be extremely comfortable, supported by a thick seven-inch memory foam base, but they also have a pillow to rest their head on. The soft micro-suede cover is machine washable, and there’s a zippered waterproof layer underneath that keeps your dog clean and fresh. Although the bottom of the bed has rubber dots making it non-slip, it won’t stand up to being outside on a damp day. Having said that it’s ideal for hardwood or tiled floors and stops the bed from sliding around. Milliard Premium Orthopedic Memory Foam Dog Bed with Anti-Microbial Removable Waterproof Washable Non-slip Cover - Medium - 34 in. x 22 in. x 4 in. COMFORT - The Milliard 4" Dog Bed offers the perfect combination of support and luxe comfort by combining a sturdy foam base with a luxe memory foam layer. QUALITY - Made from durable materials and superior workmanship for a longer lasting bed. CONVENIENCE - The washable cover zips off and goes in the wahsing machine for easy care. This memory foam dog bed from Milliard is perfect for dogs that like to stretch out. Available in four sizes it provides great support as well as providing a waterproof place to sleep. The cover has a TPU (Thermoplastic polyurethane) coating underneath which protects the memory foam underneath. If your dog has an accident or the bed gets damp if left outside the moisture won’t get any further than the top layer. Rubber non-slip dots cover the bottom of the bed which is ideal if you’re using it on hardwood floors. What’s more the cover zips off easily and is machine washable. This elevated bed from Walkin’ Wheels is perfect for inside or outside use. It’s a sturdy PVC frame, and mesh bed area makes it easy to hose off and clean. What’s more, the removable ‘lambs fleece’ bolster is removable and machine washable. Using an elevated bed means that air can circulate freely and helps evaporate any moisture. Not only that but this bed comes with a sturdy tray that sits beneath the sleeping area which is perfect for incontinent dogs. Not only does it help protect your floor, but it also helps keep your dog’s skin dry preventing discomfort. Of course, you can remove the tray if your dog is snoozing outside and you just want somewhere comfortable and cool for your dog to sleep. If you’re not familiar with Komfy k9, it’s worth giving them a second look. They started making robust and waterproof mats for veterinary practices. These self-inflating foam beds are entirely waterproof and exceptionally easy to clean. The cover slips easily over the bed, just like a fitted sheet and you can get replacement covers which are perfect for when you’re washing one. Not only that but it’s highly portable. Just roll it up and use the carry case it comes with and your dog will always have a comfortable bed no matter where they go. If your dog likes to chew, the cover comes off easily. Think fitted sheet. This bed from Brindle is another memory foam option with a waterproof liner. The liner covers the entire bed and is not removable although the outer cover is for easy washing. Replacement covers are also available which makes keeping a clean bed simple. The bottom of the bed is non-slip while the top is four-inch memory foam covered plush velour that resists dirt and hair. While not suitable for damp outdoor use, it does provide a supportive and comfortable place for your dog to sleep. What’s more, the waterproof liner offers peace of mind in case of accidents. Investing in a waterproof dog bed ensures that your dog stays dry and comfortable while they sleep. Whether it’s for outdoor use or because your dog has the odd night time accident waterproof dog beds can save time as well as protecting your dog from moisture. Our top choice is the Komfy k9 Waterproof Dog Bed for overall durability, ease of cleaning and waterproofing.